Looking to add something new to your home to cure the winter blues? 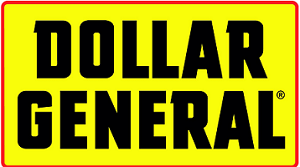 Dollar General currently has a 50% off Home Essentials coupon for you to use! The coupon valid from 2/8~2/14 and a limit of one per customer per day. OFFER INCLUDES: Kitchen Appliances, non-disposable beverage ware, cook/bake, storage containers, kitchen gadgets, hangers, trash cans, laundry hampers and plastic accessories, light bulbs, mops and brooms, reusable space bags, bath coordinates, bath towels, kitchen tablecloths, bed pillows, mattress pads, placemats, rugs, sewing notions, sheet sets,shower liners, tub mats, wastebaskets, soap dishes, shower hooks, shower curtain rods, and window treatments. DISCOUNT COUPON EXCLUDES: Home Décor, Outdoor Décor, Candles, Potpourri, Clocks, Lamps, Lamp Shades, Blankets, Throws, Flowers, Framed Art, Picture Frames, Disposable Plates, Paper Products, Plastic Cutlery, As Seen on TV items, cleaning chemicals and disposable products. Click on the picture below to get yours!